Kubek had outstanding success in the minor leagues before moving up to the New York Yankees in 1957 to begin a nine-year career (1957-1965), all with New York. A stellar utility infielder, Kubek batted .297 and won the American League Rookie of the Year honors. He chose the third game of the 1957 World Series before his hometown fans of Milwaukee to hit two home runs in a game for the first time in his pro career. Kubek batted .266 for his career in 1,092 games. He went into sports broadcasting after his retirement from baseball. Anthony Christopher Kubek was born in Milwaukee, Wisconsin, on October 12, 1936. He grew up in a baseball environment as a young boy. Kubek’s father was an outfielder in the American Association, and three of his uncles played minor league ball. Tony’s initial season in pro ball was when he was a rangy, 17-year-old youngster. He hit .344 in the Kitty League which got him a promotion to the club in Quincy, Illinois where he hit .334. From there, it was on to the team in Denver where be batted .331 with 85 RBIs. In 1957, he came up to the New York Yankees and was used as a handy man, filling in at a number of positions including third baseman, shortstop and the outfield. He batted .297 and won the American League Rookie of the Year award. 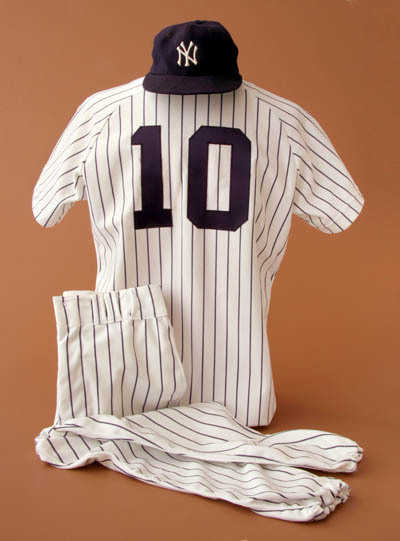 Kubek spent nine seasons in a Yankee uniform, played all infield positions and all outfield spots, competing in 1,092 games and posting a .266 average. Kubek was named to the American League All-Star team three times, in ’58, ’59 and ’61. During his Yankee career, he appeared in six World Series: ’57, ’58, ’60, ’61, ’62 and ’63. Against the Pirates in the 1960 Series, Tony batted .333. Serious back and neck injuries forced Kubek to retire from the game after the 1965 season. He joined NBC’s broadcast team for its “Game of the Week” telecasts where he partnered with Joe Garagiola for 24 years. He also served as a broadcaster for the Toronto Blue Jays (1977-89) and the Yankees (1990-94).